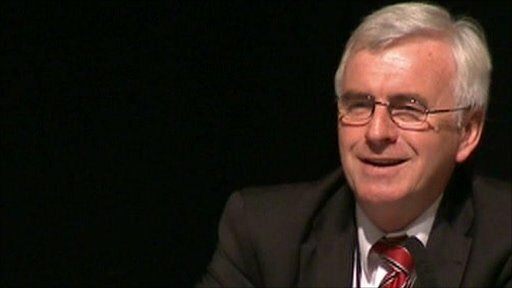 Labour leadership contender John McDonnell has apologised after saying that if he could go back in time he would "assassinate Thatcher". He made this comment in the 'warm-up' time before taking part in a radio programme. The Conservative MP and friend of Lady Thatcher Conor Burns, Jeremy Corbyn MP - who is supporting Mr McDonnell in his leadership bid - and FT editor Lionel Barber, watch the clip before giving their view.